Hot Springs and Lakes - Natural Beauty At Its Best! 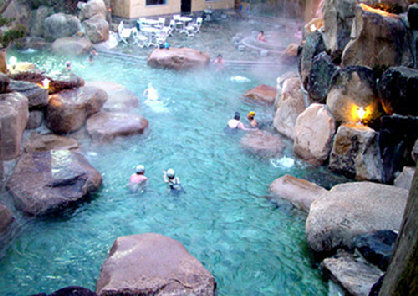 Hot Springs and Lakes in South Korea is a major tourism attraction. It is emerging as new tourist destinations where the new-age travelers are flocking there in hordes so make sure you secure the insider secrets to cheap flights to get a glimpse of mother nature at work. A wonder of nature, these lakes and springs are marvelous in their scenic beauty and excellent in their healing properties. When the ground water is heated by geothermal forces and brought to the surface it becomes diluted with cool surface water on the way resulting in natural features and many of these springs like Bugok, Dogo, Suanbo and Yuseong are amazing in their scenic beauty and attractive locations and have become really popular tourist destinations. The medicinal properties of the water have therapeutic relief powers for stress, rheumatism, fatigue, skin disease, chilblains and the list goes on. South Korea features several Oncheon Hot Springs and among them, Busan's Hurshimchung spa is a fabulous location and it is one of the largest spa complexes in the world. The lakes in South Korea are examples of brilliant natural beauty and human endeavor in quest of beauty. 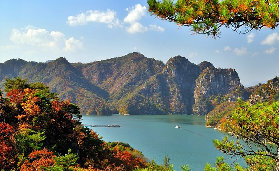 The largest lake, Chungjuho Lake with popular lake sports facilities that is recreational and entertaining, is located at Jongmin-dong, Chungju-si in the Chungcheongbuk-do Province. There are many such lakes and ponds in South Korea which were constructed during the days of the ancient dynasties. Anapji is such an artificial lake in the Gyeongju National Park which was constructed by the order of King Munmu in 674 CE. Even, a large number of relics were recovered from the pond, many of which are now displayed in Gyeongju National Museum. Junam Reservoir is another popular destination in Changwon and has the largest migratory bird sanctuary in Korea. There are lakes around which a number of other facilities have been built to ensure greater tourist attractions. You can even indulge in some water sports and sports activities which make these spots favorites of adventure lovers who seek a bit of adrenaline rush. One of the most beautiful and romantic course to hike on Seraksan Mountain is the 2.4km path that leads to the Biryong Falls. According to the legend, there was this orphaned boy who made his livelihood selling mushroom that he collected from the dangerous mountain cliff. One day whilst he was hanging precariously under the rock pillar of the waterfall, he heard his dead mother's voice who told him about the giant centipede trying to cut through the rope that was holding. 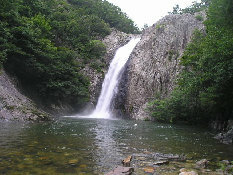 It was widespread that this myth is how Daeseung Falls came about. However, if you are more interested in nature, do not go past Jikso Falls which, although have steep inclines and imposing peaks, have azure waters flowing through the valley and vibrant roses, royal azaleas, autumn leaves and even snow-capped landscape to complete the exquisite scenery. There are many first class hotels and resorts which have been built to cater to the crowds of tourists. International standards of accommodation, dining and a number of other facilities make the stay an unforgettable affair. So come and let the lakes and hot springs of South Korea be your next destination. Discover the different flavors of the land.